This CD+DVD package contains the second opening song, and the first ending song to the TV anime C Cube. Songs by Kitamura Eri (喜多村英梨). The lyrics to "Be A Diamond" written by Eri. The DVD contains a promo video of Shirushi, and two TV commercials for this CD. 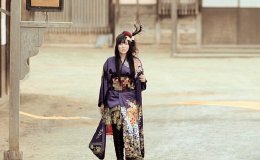 The video has Eri singing, wearing a purple kimino, in an old Japanese town setting.